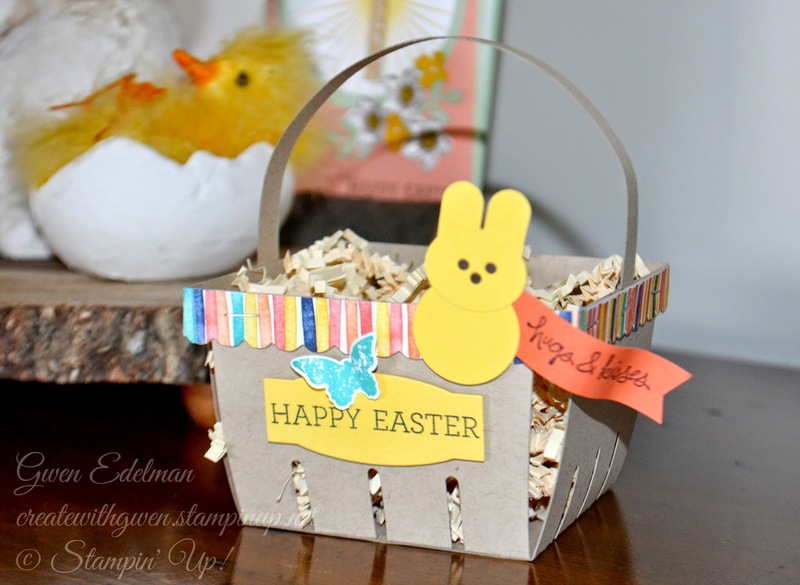 Create with Gwen: Easter "Peep" Bunny Basket! Yea, haven't posted in awhile. 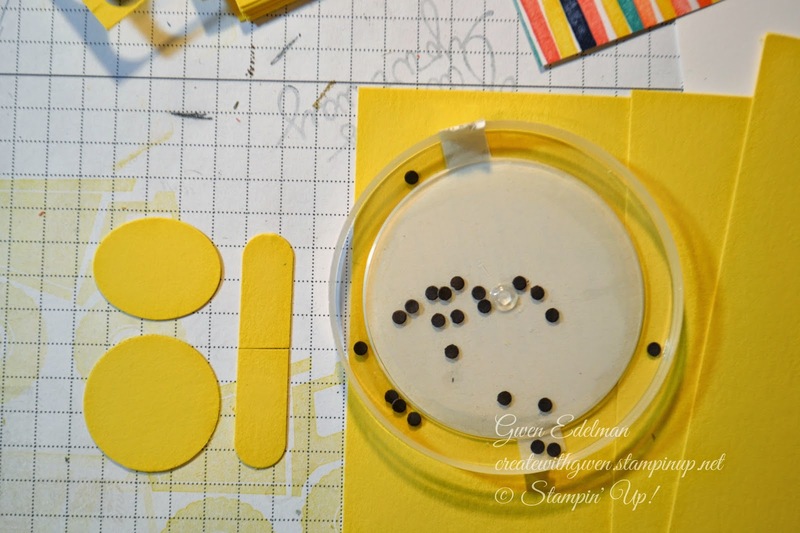 Seems I always make time to play in my stampin studio aka:My Happy Place, but finding the time to blog is not my best asset. I promise to try harder! Today I have a sweet basket to show off! 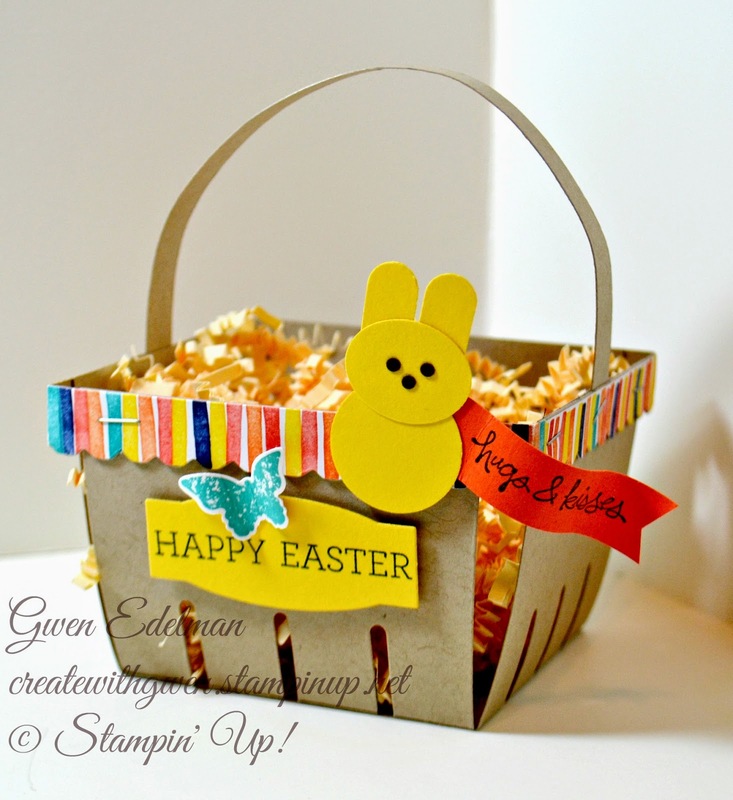 Created with the Berry Basket Bigz Die, this little cutie can be re-created to suit any occasion. Easter is this weekend, so I am making 6 of these for my grandbabies. Since they love the yummy marshmallow peeps, especially when they are stale, (Yuk!) I made our yellow bunny here to look like a bunny peep. Very easy to do with a few punches. (See the supply list below) To add the eyes, it would be easier to dot with a marker, but I used the tiny circles from the owl punch. Just a little tricky adding adhesive. Enjoy this Berry Basket video and Have a great day!